The FINANCIAL -- The trade and FDI volume of Sweden and overall Scandinavian countries to Georgia remains one of the lowest. Low awareness of Georgia in the Nordic states is one of the main reasons for this. The Russian crisis that had an impact on all post-Soviet countries reduced the interest of Nordic investors as such countries are now perceived as challenging and problematic. Even though Georgia has shown better results recently, this message has been lost due to Europe’s own domestic problems, such as the mass inflow of migrants. “The downturn in the economy in Georgia and neighbouring countries as well as the sanctions imposed on Russia has made many Swedish companies hesitant to even look at the opportunities in this region at all. It is not only Georgia but many other countries too which China overtook in the attraction stakes many years ago, and still many Swedish companies are focused on China and Asia. The potential of the Middle East and to some extent Africa is also emerging. Of course, it depends on the industry,” Heinz Sjogren, Chairman of Sweden’s Chamber of Commerce and Industry, told The FINANCIAL. The Swedish Chamber of Commerce consists of over 70 Swedish companies. All of them have long-standing business relations with post-Soviet states. There are over 10 Swedish companies represented in Georgia. FDI from Sweden to Georgia stood at USD 8,726,700 in 2015. The figure was USD 1,059,100 in 2014. Export to Sweden amounted to USD 76,800 in 2015, down from USD 261,500 as of 2014. The FINANCIAL met Sjogren in Tbilisi while on his second trip here since the 1980s. “The last time I was in Georgia was more than three decades ago. I was first here in 1983. Two years after FC Dinamo Tbilisi won the European Cup. Now I am working for Excedea, an advisor company headquartered in Stockholm. There were some requests from our clients regarding Georgia. It means that Georgia is on the map. So we thought it would be a good opportunity to come here and see what is going on in the country,” said Sjogren. “Sweden and Scandinavia has a lot to offer when it comes to advanced technology in energy efficiency, resource and waste handling, as well as water treatment. As I heard from our Embassy here in Tbilisi a "Smart City" event might be planned to be held in Tbilisi later this year. It shows that there might be also other areas of contacts and cooperation,” said Sjogren. Q. What is the potential for deepening economic ties between our two countries? A. The normal procedures I would have seen in many countries are that you start with trade before you look into the possibilities of starting production and doing investments, the typical FDI case. By developing the trade you will also see over time that you will build up more confidence and also do direct investments. Swedish company Oriflame is established in Georgia. The regional hub of the company’s sales is in Georgia. However, that is not a real FDI company. Together with Sweden, they have production in Poland and Russia. In order to set up a new production facility, they probably need a critical mass of sales in the neighbourhood. In general, to increase FDI Georgia needs to explore the potential of tourism a little more. Providing flight connections with Northern Europe should be arranged in this regard. Of course, direct flight connections are preferable, not sitting for six hours in Istanbul airport waiting for your charter flight. Another issue would be developing sports tourism. There is a lot of money in that type of tourism. You can book teams coming for trainings camps in the spring when there is still snow until late April in Northern Europe. However, we still like to play football. So we would like to go to training camps. Those playing in the second, third league cannot afford Spain or Portugal, because they are already occupied by other teams. So, why not go to Georgia. That is one example of how you can combine the thinking of how to develop the resorts. It should not only be the development of luxury hotels. Because all of a sudden you start competing with France, Spain, Portugal, Italy, Turkey and many other resort destinations. Georgia would be an exotic place to go to for Swedes. We have visa free entrance to Georgia. It is a very good start for us. To Russia and other countries we have to pay a lot and face a bureaucratic nightmare when arranging visa issues. Q. Russia has been one of the top destinations for Swedish businesses. How has the recent economic crisis in RF changed this perception? A. Several of our member and non-member companies suffered a lot from the sanctions and counter-sanctions by Russia as well. Some companies that had a high degree of export to RF suffered heavily and have even laid off people in Sweden. In 2015 trade with Russia went down by 30% in a single year. FDI has also been reduced. Interest in and view of all the post-Soviet states went down because they are perceived as challenging and problematic. The general perception of the Swedish and Scandinavian business community is that many of the countries in this region are unpredictable, the economy is volatile, in many countries it depends on raw materials, even on one commodity. So the purchasing power becomes volatile. Many countries, of course this does not concern Georgia, but many countries are corrupt and their legal systems are not functioning. That is definitely something that is scaring businesses. Here Georgia has managed to improve the perception of the country. Georgia has climbed several positions in all these rankings regarding ease of doing business, corruption etc. That is a very good sign and starting point. Q. Have these approaches of Northern European investors towards the region changed this year, have you witnessed any progress? A. To a large extent they still exist. As we see trade has not picked up. The business community has not improved the opinion regarding the economy, existing problems. In addition the whole of Europe has been impacted by the inflow of refugees recently. That is putting a constraint on all aspects of society: the politics, the economy. Sweden took in more than 160,000 refugees during a single year. Our officials started thinking that they did not have sufficient resources to provide for the refugees only after having accepted them. So society has been overwhelmed by this immense impact. It was more traumatic than was expected. Companies in that sense, with there still being sanctions on Russia, and with the economy going down, might not have heard the news about Georgia managing to get better results as this message got lost amidst the massive impact the refugees have been having and all the other news items. So, to make the voice of Georgia be heard in all of this is not easy. Q. What are your impressions of the Georgian economy? A. When I came to Georgia I saw that many had started constructions works. However, there are no activities there. Something is wrong. In general, construction should be finished as quickly as possible. You should have new tenants coming in who pay rent, etc. If it is not running as it should than something is wrong with the economy. Having good rankings and getting more testimonials that you are doing well in this respect, will pay off. Getting more people coming to Georgia will bring more ambassadors of Georgia’s abroad. Q. BREXIT has been one of the most shocking developments for the whole of Europe. 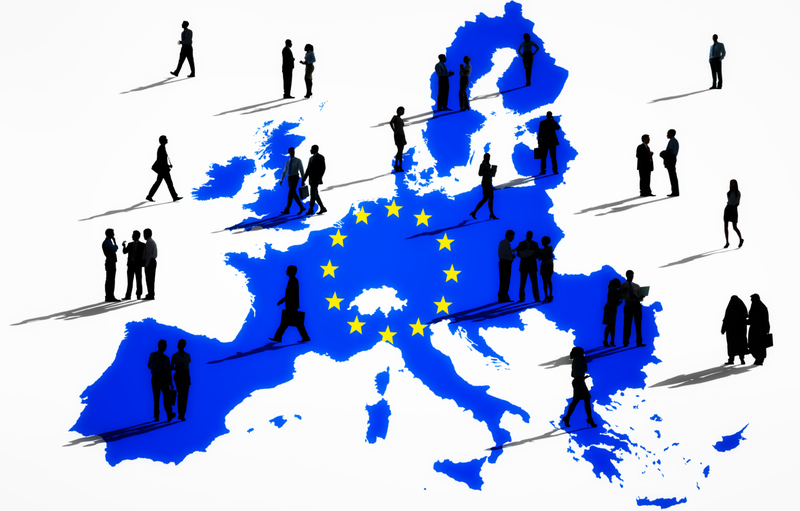 Have European businesses started working on a Plan B which can be implemented in the event of the collapse of the EU, or do they remain loyal to the existence of the Union? A. If we take the large multinational companies, I am sure they have different contingency plans for potential accidents or happenings. Some might be more elaborate, some might be less elaborate contingency plans. BREXIT was initially a shock to many that was not even expected. It was also shown on the stock market when the prices dramatically fell the day after. However, they recovered in a couple of days. So, business is always wanting to have predictability. Once you know the facts then you know the outcome. We remember that many EU member states like Greece, Italy, Portugal and Spain were having hard economic times but the EU managed to solve that. I am sure they have the capacity to handle many more upcoming problems. If the worst case happens and more countries decide to leave the Union, that will also be handled in one way or another.